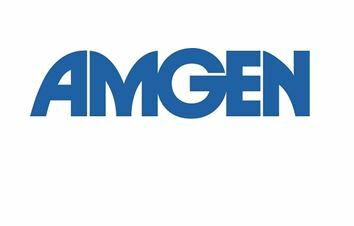 Amgen and UCB have resubmitted their application for US approval of Evenity as an osteoporosis treatment, hoping that the additional data they have provided will help overcome the FDA’s previous heart safety signal concerns. Evenity (romosozumab), is an investigational monoclonal antibody for the treatment of osteoporosis in postmenopausal women at high risk for fracture. It aims to increase bone formation and reduce bone resorption simultaneously to increase bone mineral density (BMD) and reduce the risk of fracture. It is estimated that one in two women over the age of 50 will suffer a fragility fracture due to osteoporosis, and with an ageing population these numbers will likely rise. 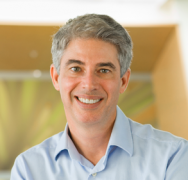 Sean Harper (pictured), executive vice president of Research and Development at Amgen, said: “A fracture due to osteoporosis can be a life-altering event, and Evenity has the potential to reduce fracture risk in patients at high risk due to a prior fracture. Evenity’s biologics licence application was previously knocked back by the US Food and Drug Administration (FDA) in July 2017, following its developers’ unexpected announcement that the ARCH phase 3 study highlighted a potential cardiac safety risk. Amgen and UCB have now added results from two more recent pivotal phase 3 trials: the ARCH study, an alendronate-active comparator trial including 4,093 postmenopausal women with osteoporosis who experienced a fracture, and the BRIDGE study, including 245 men with osteoporosis. The FDA will evaluate the clinical profile including the cardiovascular safety signal seen in the ARCH study, for the potential to reduce the risk of fractures and increase BMD in postmenopausal women with osteoporosis. Meanwhile, the European Medicines Agency and the Pharmaceuticals and Medical Device Agency in Japan are currently reviewing similar applications.